Northstar is a Vail resort located near Truckee just north of Lake Tahoe. 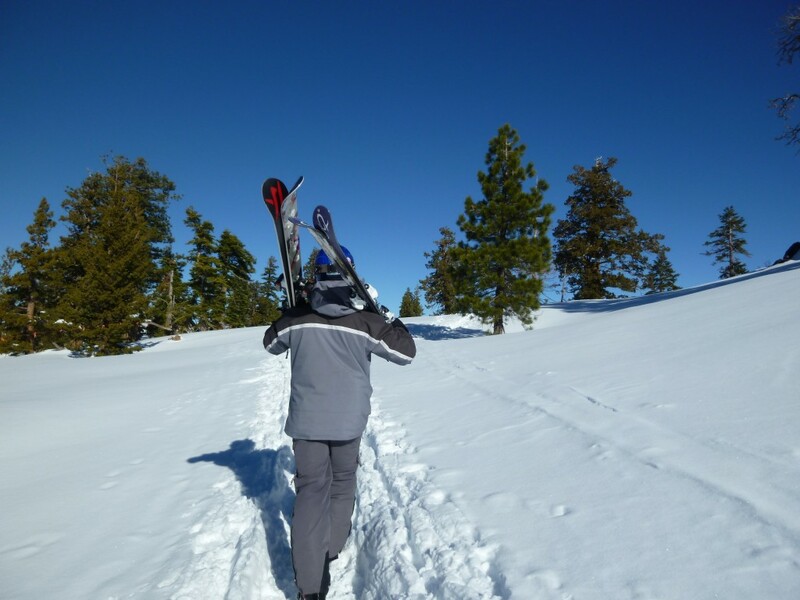 It’s one of the places we ski at regularly since it is accessible on the Vail Tahoe passes and is one of our top 3 favorite resorts in the Tahoe area. Northstar is just over 1-hour driving time from our house in South Lake Tahoe. We tend to go there early season when most of the open terrain is snowmaking-only, because most of the runs there are grassy underneath and it doesn’t take much snow to cover them. Consequently, they will often have the most open terrain in the early season. Other good times to go are when it’s windy. I was speaking with a ski patroller there one day and he said the upper lifts only close about 1 day per year due to wind. Compare that with Heavenly where the upper mountain is almost always closed during a storm. Northstar used to be nicknamed “Flatstar” due to the lack of challenging terrain, but they have made great strides in the challenge department with the addition several years ago of the Martis lift, Sawtooth Ridge, and some gladed terrain. 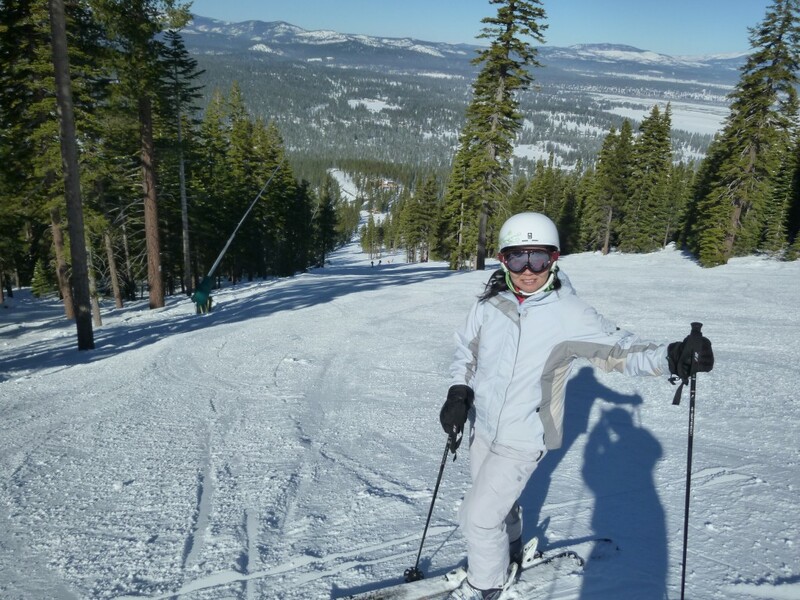 Still, there isn’t any true double-black terrain at Northstar, so for steeps you need to go somewhere else. Where Northstar excels is with grooming, snowmaking, an efficient high-speed lift network, lots of intermediate terrain, and the best walkable mountain village in Tahoe. Our day starts and ends there because you have to walk through most of it to get to the gondola which takes you up to “Mid Mountain”, which is really only one long green run above the base village so isn’t really mid-mountain at all. Sometimes we have a late lunch there on our way out. There are lots of restaurants and even a Starbucks. Once we get to mid-mountain we usually run the ski pods in order, usually ending up on Martis for some steep groomers. The Backside lift is probably the most consistent fall-line groomed terrain in Tahoe and is a blast when it’s not too crowded. Those two lifts are our favorites. Backside also has an interesting zone called “Sawtooth Ridge” which is some in-bounds hike-to terrain that is great on a powder day. 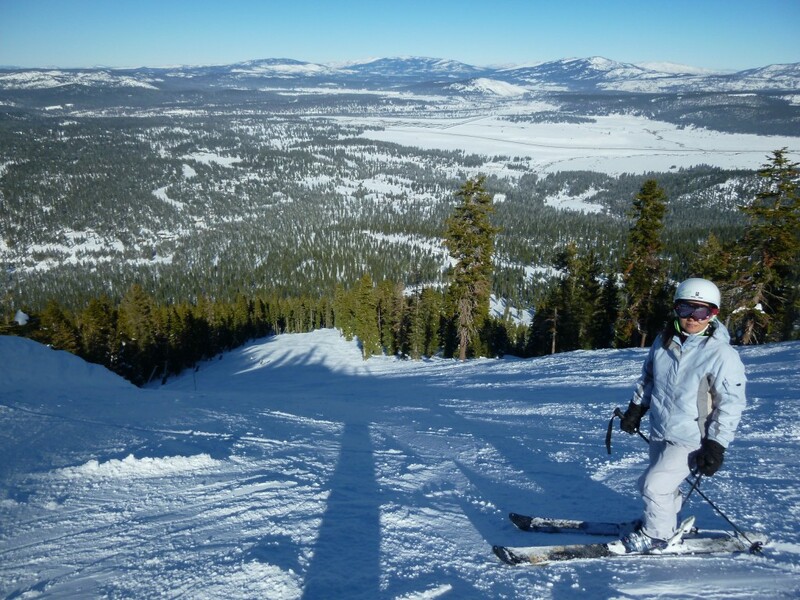 “Lookout Glade” is similar and is off the Martis lift. There is a surprising amount of terrain where you can find softer snow when conditions are right. 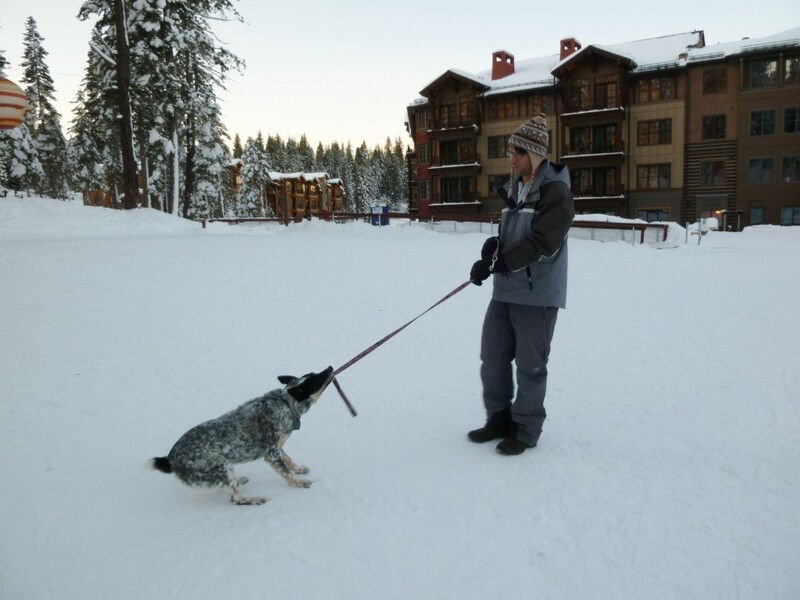 However, the low elevation of Northstar makes it generally warmer and icier than other resorts that have an elevation advantage, so pick your days and don’t go there during a warm storm because you will get rained on. Most of the terrain is protected by trees and is not really exposed to wind so it’s usually 100% open on storm days. Low elevation results in warmer and icier conditions, so even though they groom a lot, there are often patches of ice that catch you. It can be really bad, which is why we gave it a relatively low rating of 3 after this happened to us multiple times. Northstar is the most popular Tahoe resort for hordes of Bay Area weekend skiers, so crowds are always an issue when conditions are good. The parking lot situation is really not that great because the close-in lots fill up fast and then you have to park in the lots out by highway 267 and take a fairly long bus ride into the village. Even if you get the closer-in parking, it’s a long walk through the village until you get to the gondola, which you still have to take before getting to the real skiing terrain. It’s a long process. Lap the long steeper groomers on Backside and Martis. 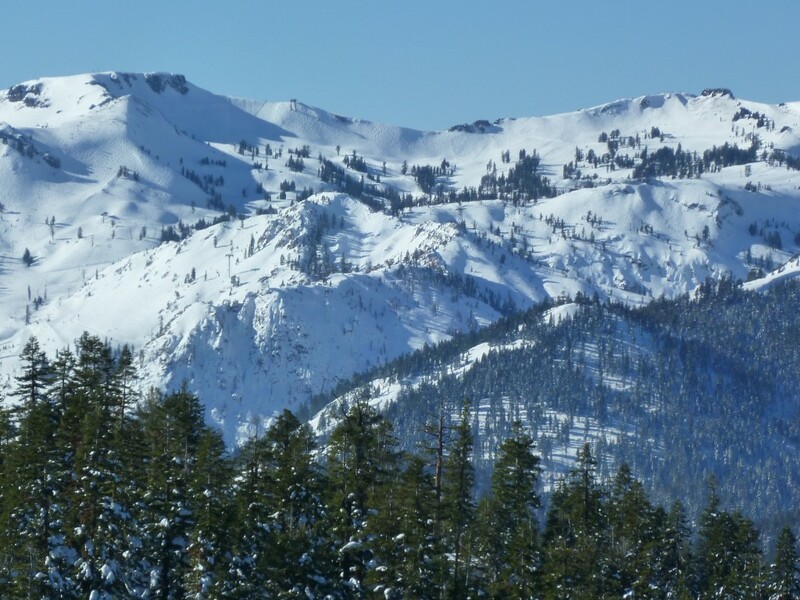 On a powder day, choose from several gladed areas but don’t miss Sawtooth Ridge. Sit in the village around the ice skating rink enjoying food and drink. Oh definitely. 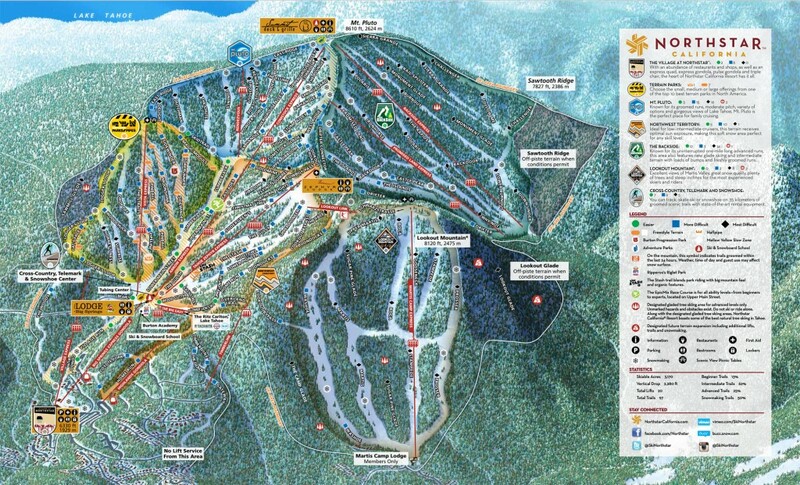 This is our 3rd favorite Tahoe resort and it’s a sure bet for a fun relaxing ski day.